There are times when we all need to blow our own trumpet and we think that talking about quality and craftsmanship is one such occasion. 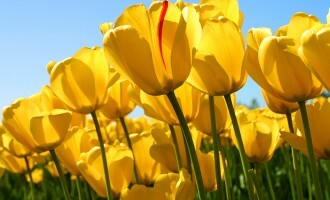 Delivering excellent quality of products and services to our customers is something we are very good at. Our customers have told us so, many times. 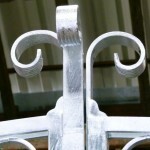 But, no matter how carefully we craft our wrought iron gates and railings, if they are badly finished or made from inferior components, they will not exhibit their true beauty. Furthermore, they would be unlikely to provide the durability we like to promise. That’s why we have been so exacting in our search for exceptional suppliers. And to give you additional peace of mind all of our ironworks come with a minimum 10 year warranty. Because this is where the quality story begins we would never run the risk of using inferior components. 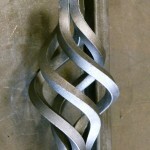 Neither do we sell ready made wrought iron gates and railings imported from overseas. All of our products are carefully crafted by hand using the best quality components we can find. The components we use to build the bespoke designs for our clients include among others, railheads, bars, finials, bushes and scrolls. Each individual piece must be of outstanding quality so as not to compromise the value or functionality of the finished design. Wherever possible, we use components that are hand forged for our bespoke designs. They are all carefully sourced especially for each project from our tried and trusted suppliers. Reassuringly they have all been in their respective businesses for many years. 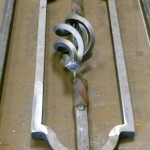 Brooks Forgings, based in nearby Cradley Heath, is a leading manufacturer of both hand forged and machined products, is . The company has been in business for over 50 years. 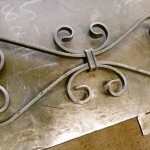 Always a reliable supplier of first rate quality goods, we know from experience that everything we buy from them helps us create ironworks that are both striking and enduring. F.H. Brundle has been trading since 1889, originally selling nails and ironmongery in London. Now a national company, they supply us with top quality wrought iron components of all different types, from railing bars to scrolls and laser cut letters and profiles. We use their components on the bespoke designs we produce for local customers under our Brettell Brothers brand and also for the designs we make to fulfill the orders for our customers through our Gates Railings Direct brand. Edward Howell Galvanizers Ltd is one of the best galvanizing companies in the country with a trading history dating back almost 150 years. Luckily for us it is another local company situated just a few miles from our factory. Their hot dip galvanizing is a zinc coating applied in compliance with BS EN ISO 1461 and prevents corrosion for 50 years+. This means that, when coupled with powder coating in a colour of your choice, you can enjoy a robust and maintenance free product that means never having to get out a paint brush or piece of sandpaper. We use their services for the bespoke designs we produce for local customers under our Brettell Brothers brand and also for the designs we make to fulfill the orders for our customers through our Gates Railings Direct brand. We have used Aspect Powder Coatings Ltd for many years. They have accrued many years in the business at their production facility based in nearby Tipton. The quality of their powder coating is outstanding. Not only is it is applied in compliance with BS EN ISO 13438 but also the thickness of Aspect’s powder coating is 80 microns which exceeds the industry standard of 60 microns. Furthermore, t hey have taken ten years to carefully develop a coating that adheres beautifully to galvanized metal surfaces. Products are taken through a ten stage pre-treatment process to ensure that the powder coating adheres correctly to the metal’s surface and will not crack or peel away when it is exposed to the elements. 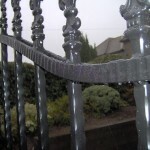 We use their services for the bespoke designs we produce for local customers under our Brettell Brothers brand and also for the designs we make to fulfill the orders for our customers through our Gates Railings Direct brand. Having traded continuously since 1946 gives reassurance to our customers that they are buying quality products manufactured by skilled hands which has also enabled us to fend off stiff competition. We have our own internal quality assurance system which incorporates checking, approval and sign off of project drawings and scrutiny of all works at each stage. Each drawing is checked, approved and signed by a second director whilst all calculations from site layouts to ironwork sizes and the number and style of components are checked for accuracy by three people. As a measure of reassurance to you the customer and to ensure we have interpreted your design ideas correctly, we will ask you to sign the drawings before we order and cut any components to size. We think that product quality goes hand in hand with service excellence. We promise a friendly and highly responsive service from your first contact with Brettell Brothers and Gates Railings Direct right through to completion of your project. Scores of our customers have commented that our company had the quickest turnaround time between initial enquiry and site visit with a view to providing a quote. For local customers we can normally promise an appointment within two working days of you first contacting us. Because the directors are more than happy to accommodate evening and weekend appointments (by prior request) you are always assured of a truly personal service.